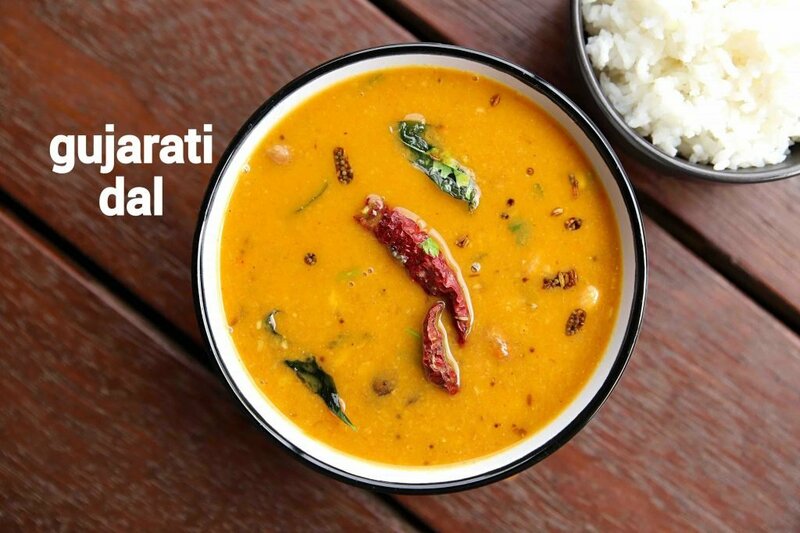 the recipe for gujrati dal is very unique as it is a combination of sweet, sour and spicy taste. 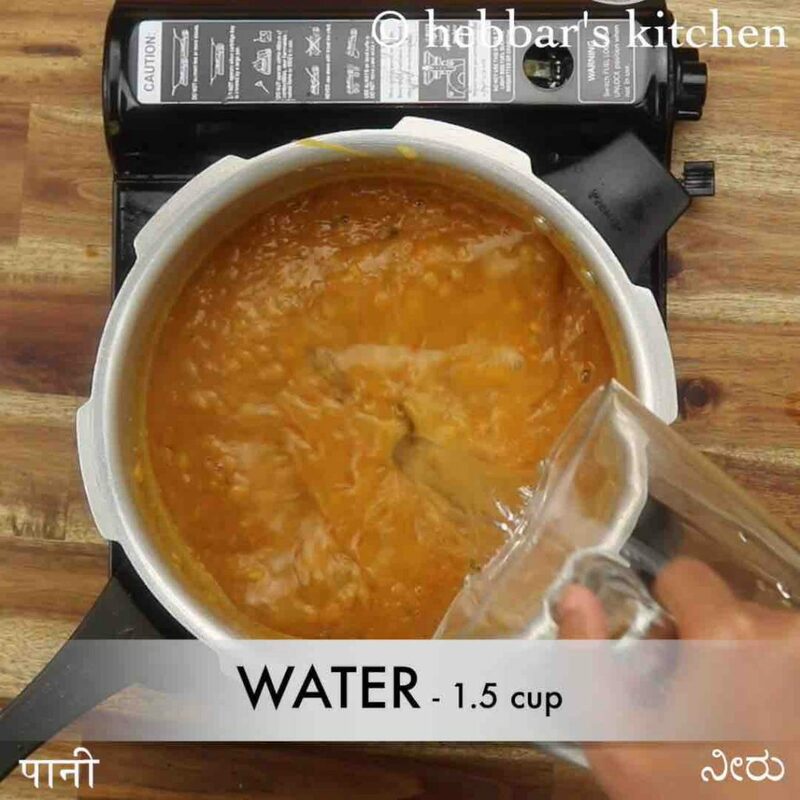 unlike other dal recipes it is just made with tomatoes and kokum which adds the sour taste and also kokum flavour to the dal. 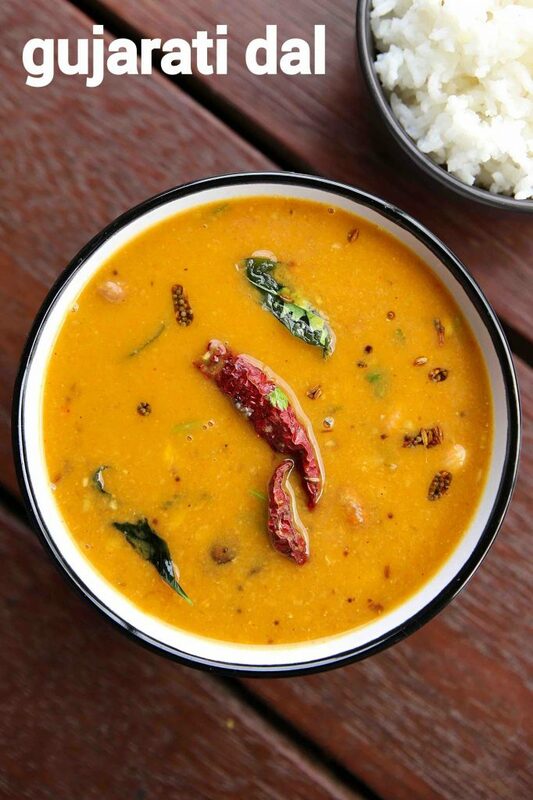 in addition, boiled peanuts are added while lentil is boiled which adds the crunchy taste to dal. this recipe is ideal for most of the rice recipe, but i personally like it for roti or chapati. also, you can serve it with indo chinese rice recipes like schezwan fried rice or simple veg fried rice recipe. 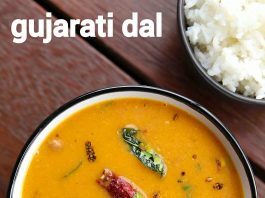 the gujarati dal recipe is extremely simple to make, yet some tips and suggestions to make it perfect. firstly, this recipe is no onion no garlic recipe, like other traditional gujarati recipes. but you can experiment and add finely chopped onions to extend it further. secondly, adding kokum is must for this recipe which makes it unique compared to others. hence you should not avoid it, otherwise, it does not make gujarati toor dal recipe. 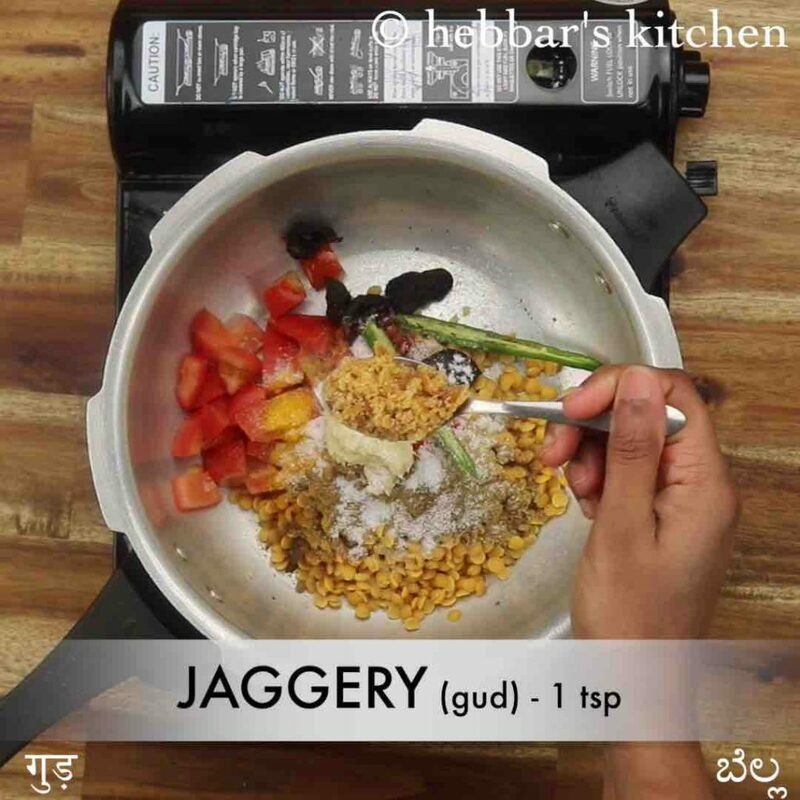 lastly, for the sweetness, i have added jaggery to this dal but you can replace it with sugar. alternatively, you can completely skip it if you do not wish to have a sweet taste. firstly, in a cooker take ingredients listed for pressure cooking and pressure cook for 5 whistles. take off the peanuts cup and keep aside. 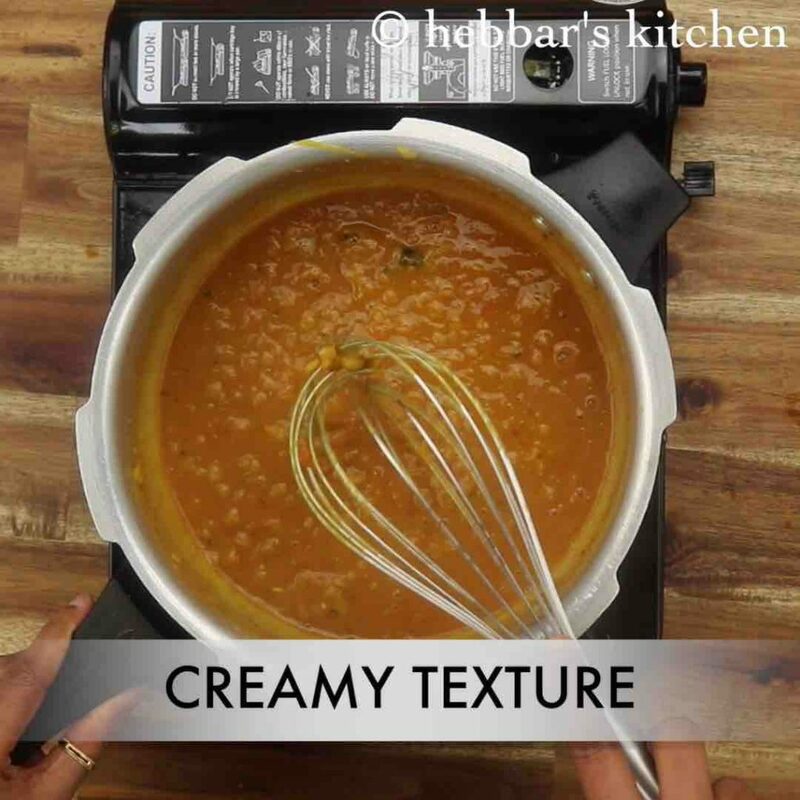 whisk the dal until it turns creamy and smooth. add 1½ cup water and boiled peanuts. 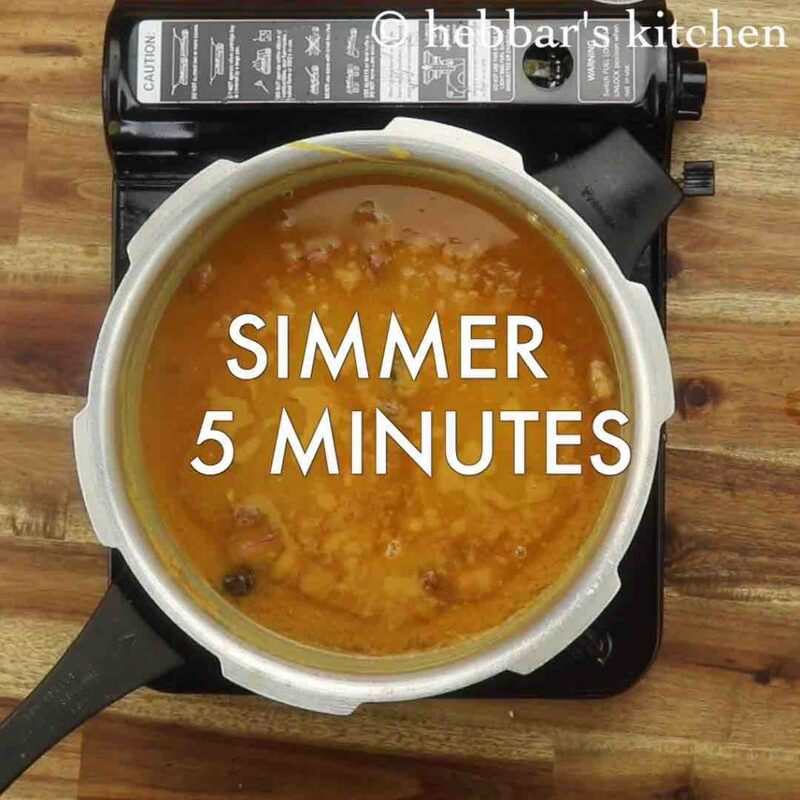 simmer for 5 minutes, or until the flavours are well absorbed. 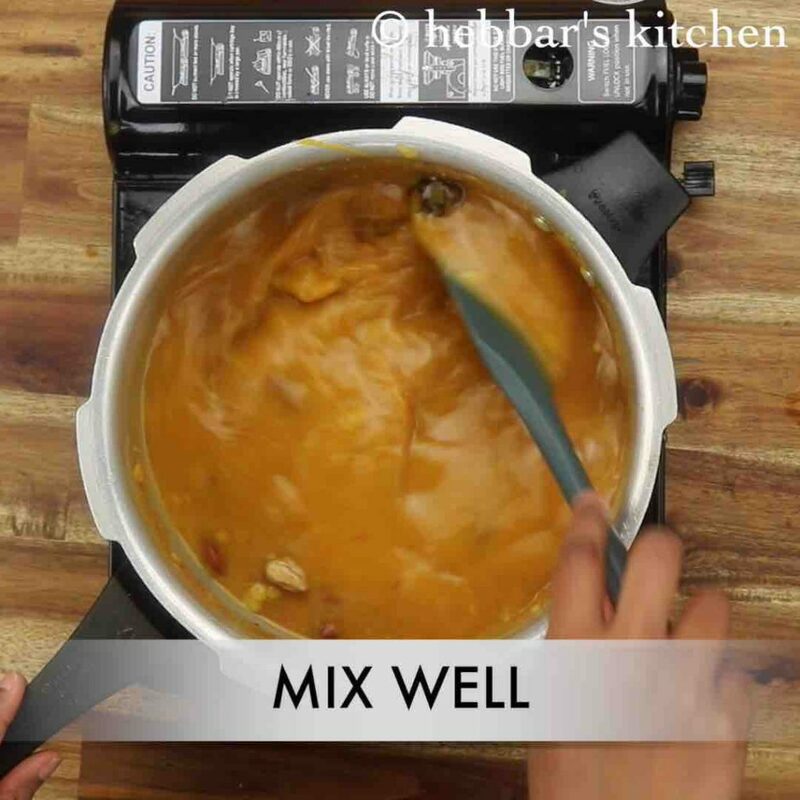 now prepare the tempering and pour over dal, also add 2 tbsp coriander and mix well. finally, enjoy gujarati dal recipe tastes great when prepared slightly watery consistency. 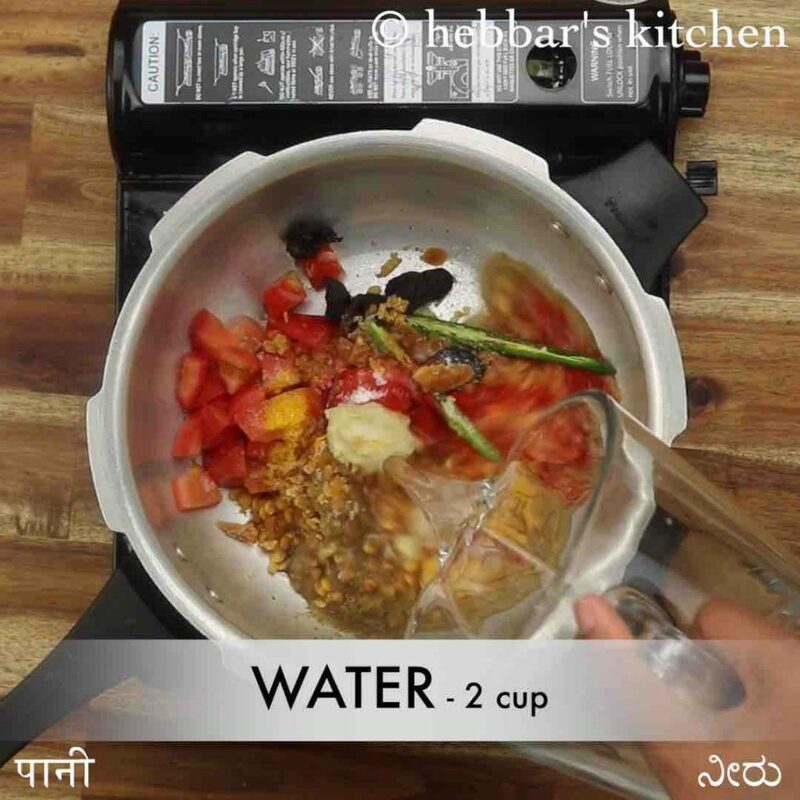 firstly, in a cooker take ½ cup toor dal. make sure to soak dal for 20 minutes. 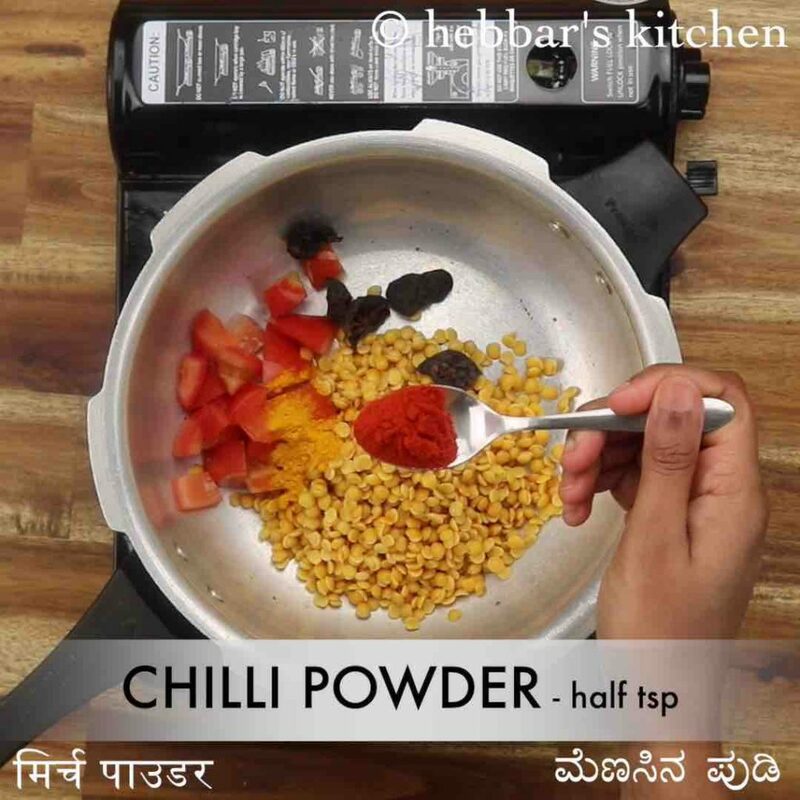 also add ½ tomato, 5 dried kokum, ¼ tsp turmeric, ½ tsp chilli powder, ½ tsp coriander powder, ½ tsp cumin powder and ¼ tsp garam masala. further add 1 chilli, 1 tsp ginger paste, 1 tsp salt, 1 tsp jaggery and 1 tsp oil. 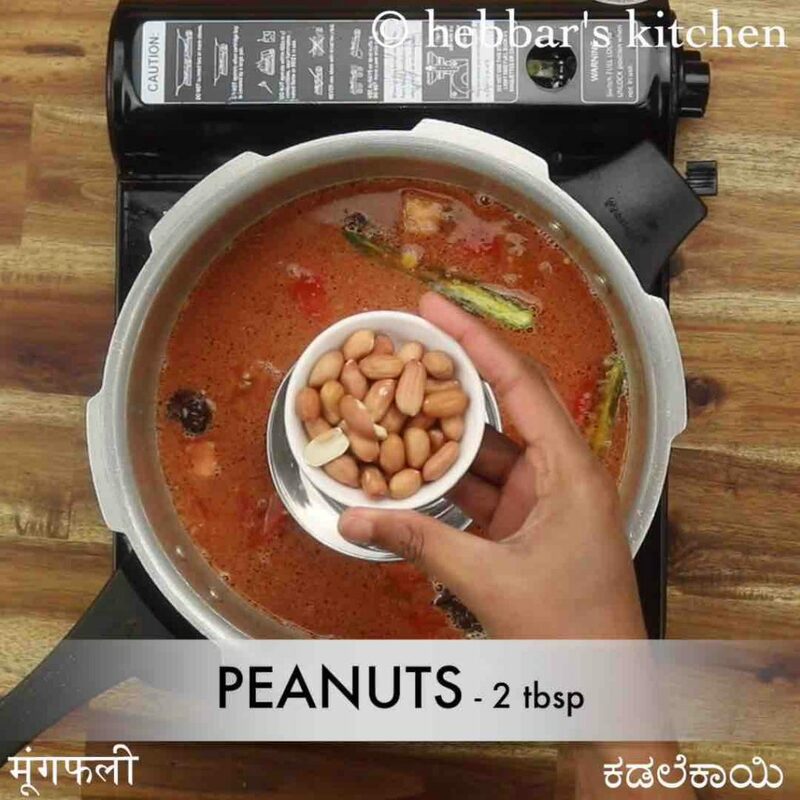 place a small bowl in the cooker and put 2 tbsp peanuts. 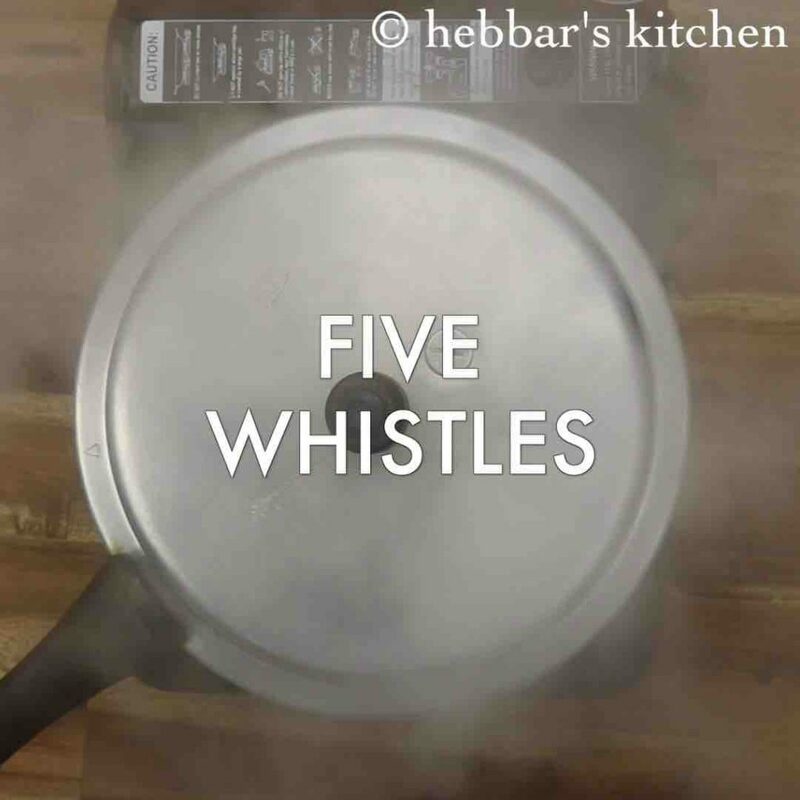 pressure cook for 5 whistles or until dal is cooked completely. 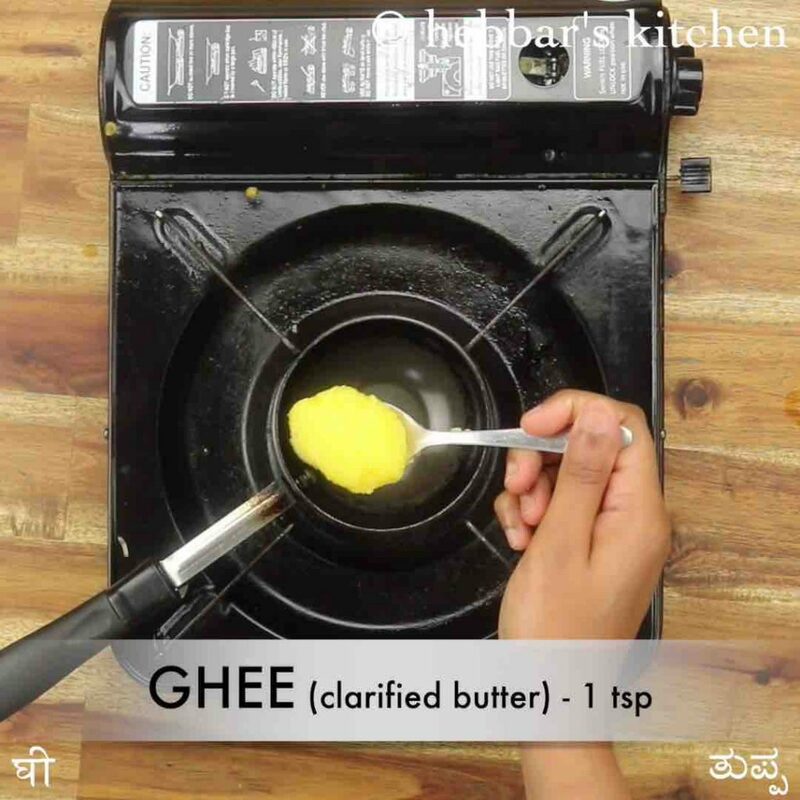 now prepare the tempering by heating 1 tsp ghee. 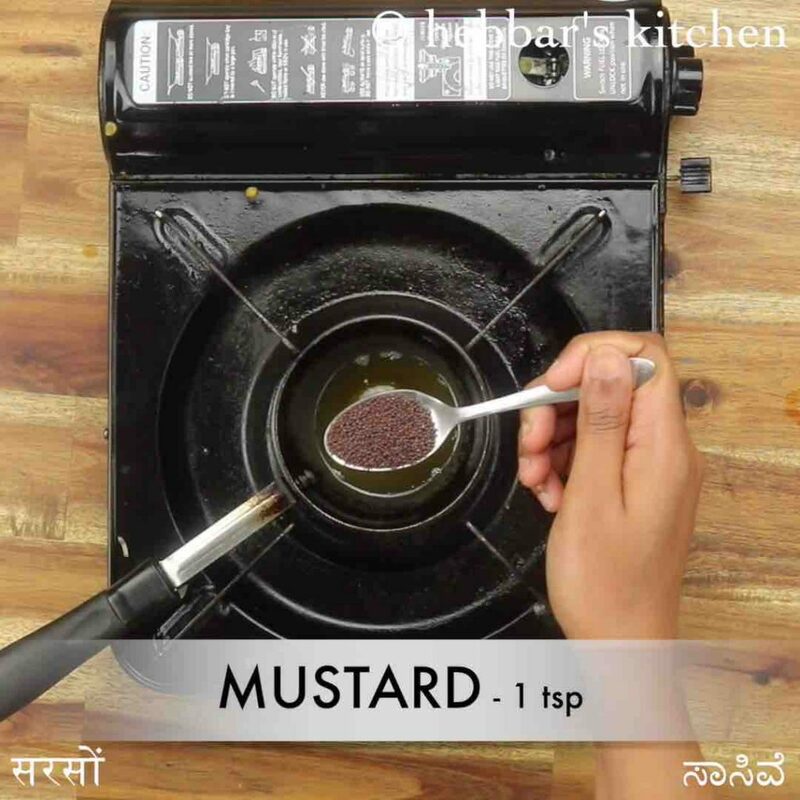 splutter 1 tsp mustard, ½ tsp cumin, ¼ tsp methi, 1 inch cinnamon, 2 dried red chilli and few curry leaves. 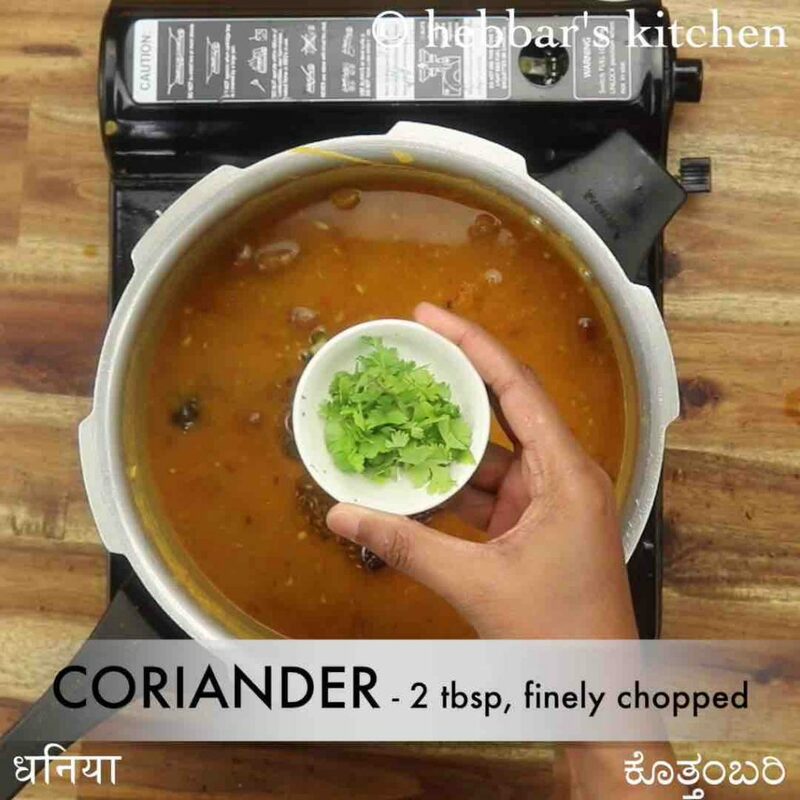 pour the tempering over dal, also add 2 tbsp coriander and mix well. 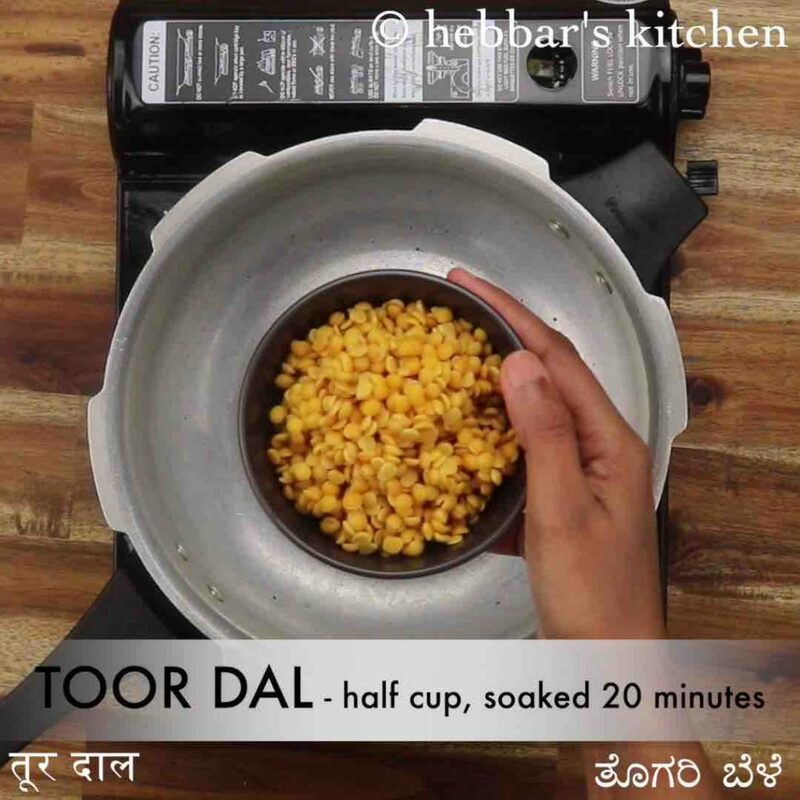 firstly, make sure to cook toor dal else, the dal will not be creamy and smooth. 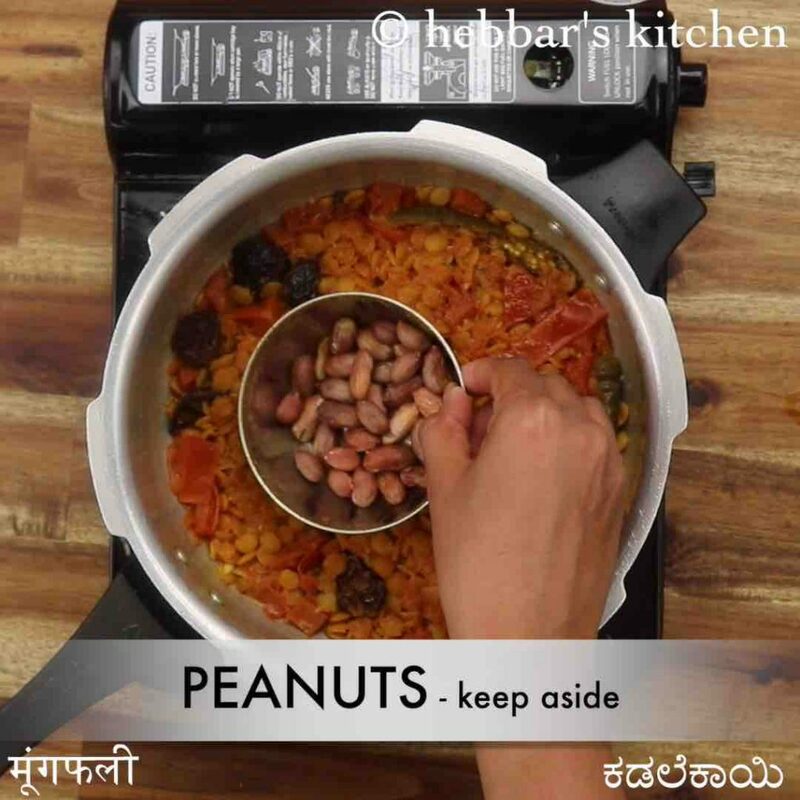 also, adding peanuts will give a nice crunchy bite in the dal. additionally, balance the flavour of tangy, sweetness and spiciness. finally, gujarati dal recipe thickens once cooled, so adjust consistency as required.